Roland Bach - rolandbachs jimdo page! Roland is in love with the landscape (cavern and caves) of the Mediterranean sea. But his special interest is with jellyfish and ctenophores. 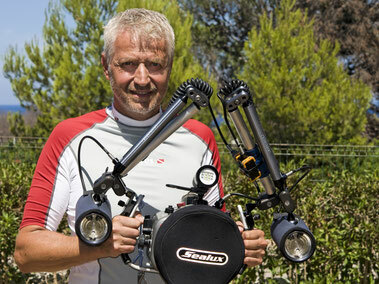 While everybody else gets out of the sea because of too many jellyfish, Roland is getting ready for an underwater shooting with his favorite subjects. Especially his "Jelly Art" shots are published worldwide in specialist magazines and exhibitions.